When we reach 5K "likes" on Facebook, two of our followers will choose the prize of their choice from our online gifting closet found HERE. Share one of our posts about this giveaway on your Facebook wall. Click HERE for sample post. Winners will be announced on our Facebook wall, the Chic Luxuries' Winners Page, and on Twitter. Winners will have 48 hours to claim prize. If prize is not claimed within 48 hours, a new winner will be selected. Contest is open to Residents 18 years of age and older in the Continental US. Prizes are subject to change and are replenished on an ongoing basis after selections are made by previous winners. 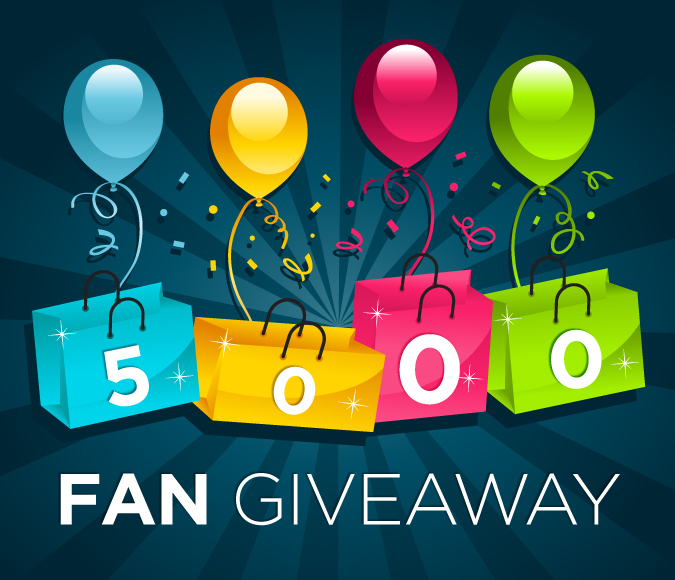 Visit our Giveaways page for links to all of our current giveaways. Thank you for the chance! Liked & shared! I like you on Facebook & Shared the Post on my Wall! Thank you for the chance, liked and shared! Those choices are beautimous! liked and shared post on wall. Thanks! Liked & shared on FB! Liked and shared giveaway post on facebook. I liked and shared from Nicole Danielle!!!! Thanks for the chance! I have shared a few posts on my wall, and have liked and shared! Thanks! thanks for the contest I liked and shared. Thanks for the contest,I liked,shared this. Thanks for the chance o win. Like to win as great giveaway.